Grab your baskets and join us Easter Sunday for some FREE family fun! 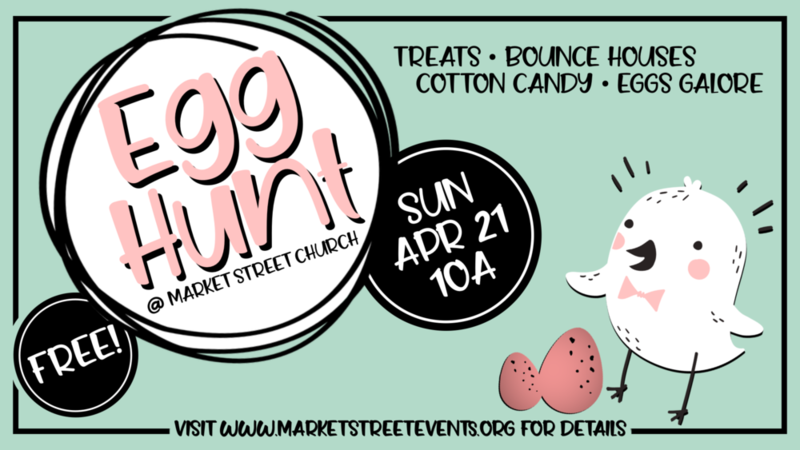 With tons of eggs, bounce houses, cotton candy and treats, it’s sure to be a fantastic time. Then after the hunt, you’re invited to stick around for our Easter Gathering at 11a. We have programming for all ages, from nursery to M-10 (our elementary aged program) and all the way to adults. It’s going to be a wonderful time celebrating Easter and we hope you’ll join us! For more details on egg hunt* times, visit our events site HERE. Whether you’re a new mom, seasoned mom, awaiting such a blessing, or care for them as your own, we want to celebrate you! So this Mother’s Day, we invite you and your family to be our guests for a special brunch honoring all the moms out there, including you! We’re still months out but it’s never too early to save the date for our Thrive Retreats this summer! We’ll be heading to Sandusky, Ohio and it’s going to be epic. So make sure to pencil it in now - it’ll be here in a flash! On Good Friday we want to do good in our community. So please join us in giving back and loving like Jesus. We’ll first meet at the church to share in a time of prayer, break bread together over breakfast, and then serve both in the community and around the church. All ages and abilities are welcome. Any amount of time you can give is so appreciated - click HERE to sign up!